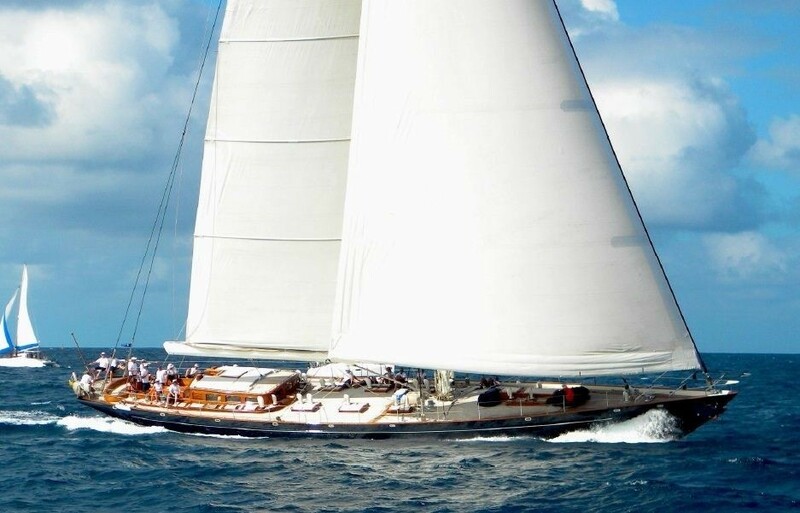 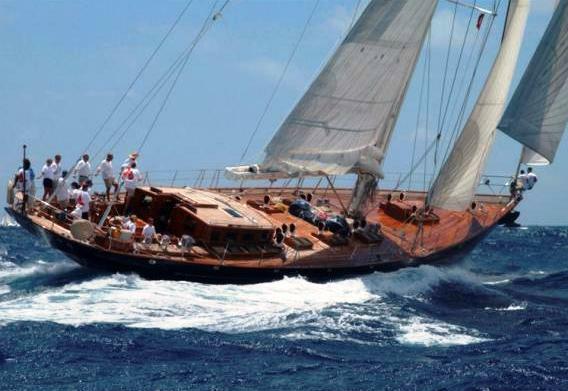 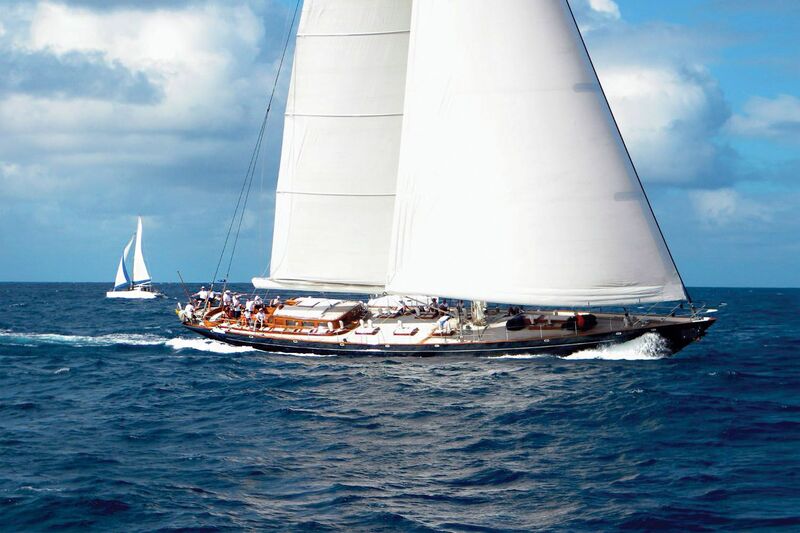 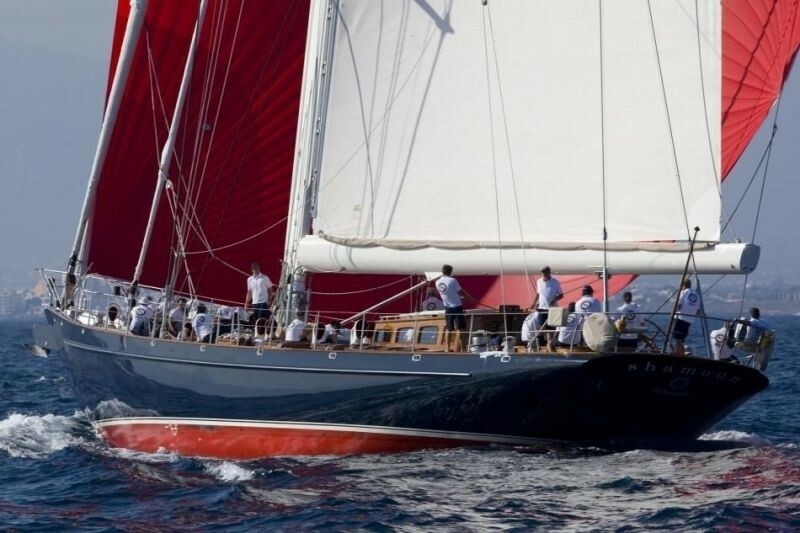 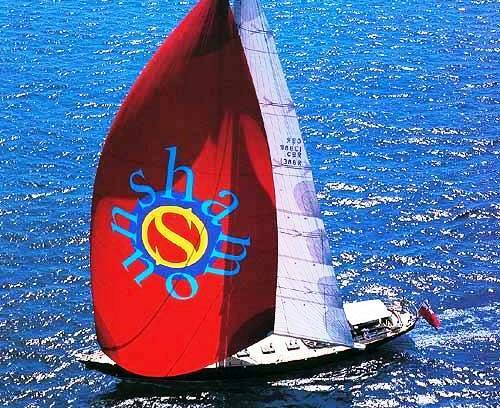 Sailing yacht Shamoun is a luxury modern classic sail boat which gives the grace, class and elegance of an older classic yacht but also the features the performance, practicality and amenities of a modern one. 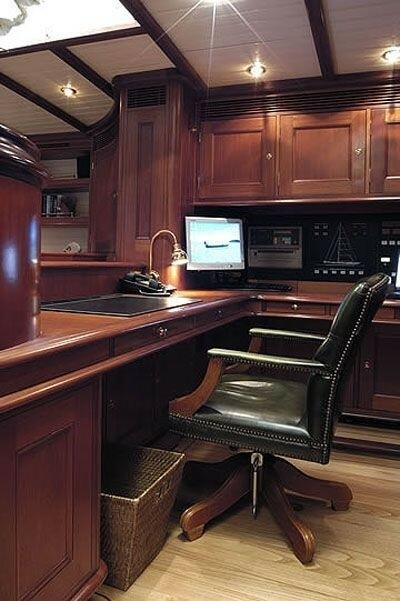 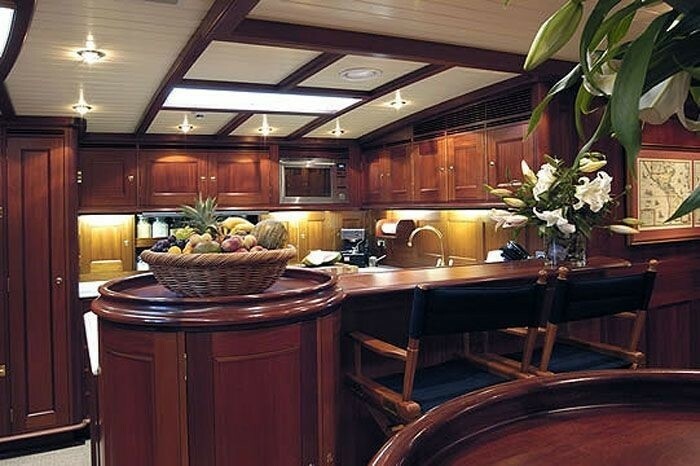 The Klaasen Shipyard has complimented Shamoun’s beautifully proportioned design very well with the superb craftsmanship of her classic mahogany and cream paneled interior. 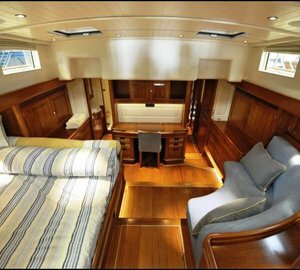 Shamoun’s interior design has been beautifully enhanced by the use of chestnut floorboards which have been inlayed with mahogany. 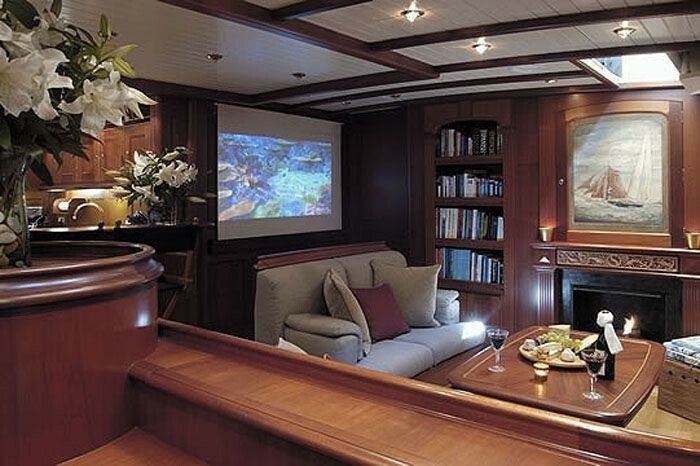 Luxury sail boat Shamoun’s saloon is extremely spacious and boasts a bar as well as a state of the art cinema! 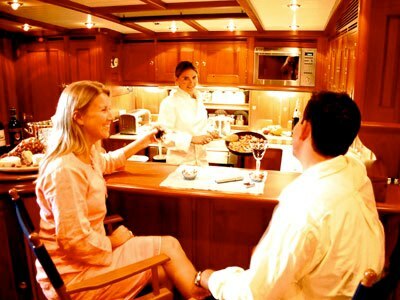 Guests can eat in the raised pilot house to enjoy the panoramic views of the charter location whilst remaining in the comfort of the yacht’s traditional interior. 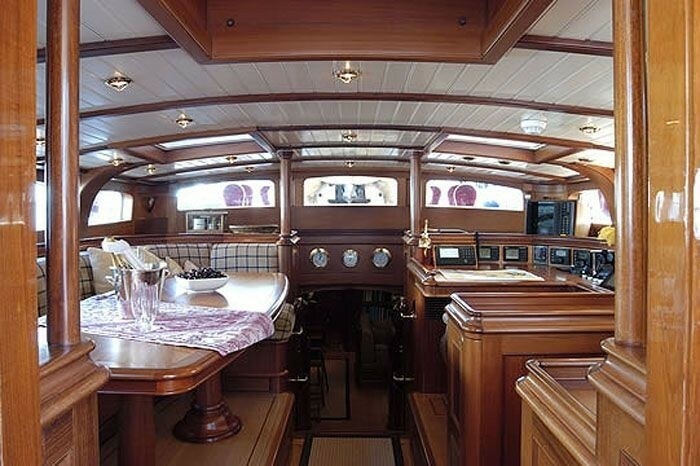 Her main cockpit aft provides comfortable seating (which not always the case on a sail boat) and a large dining table and the whole cockpit area is protected cleverly from the days heat by a large sun awning. 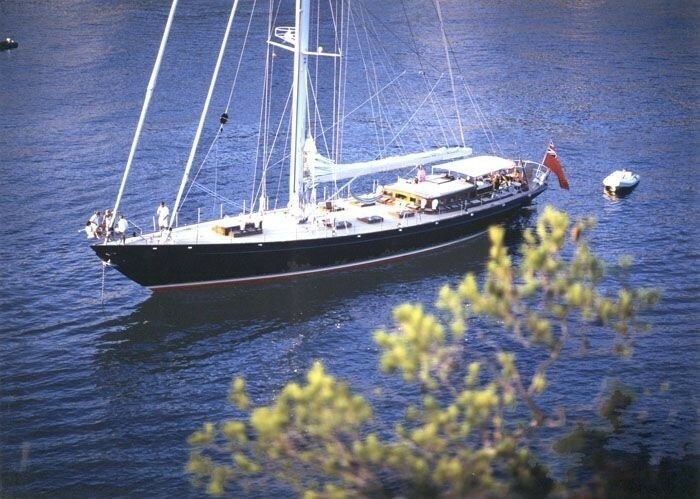 Uniquely Shamoun features a uniquely shallow (lifting) keel arrangement which allows her to enter shallower anchorages where many other larger yachts cannot follow. 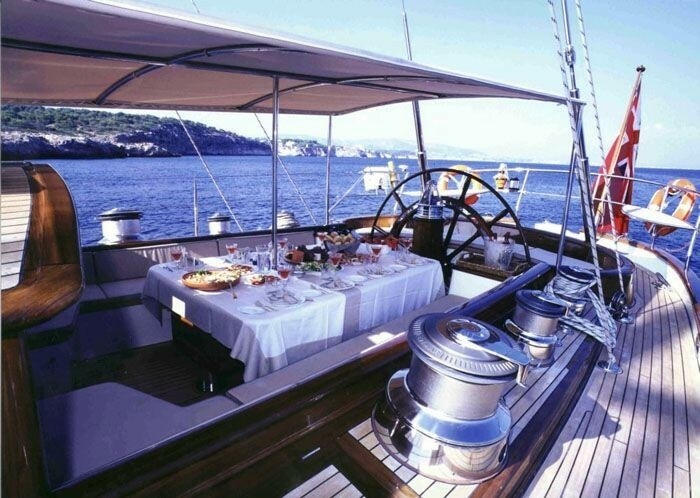 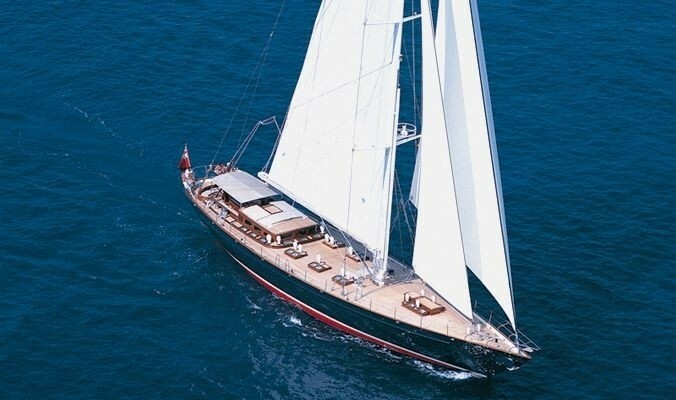 Luxury modern classic sailing yacht Shamoun provides for comfortable accommodation for up to 9 guests in 4 cabins. 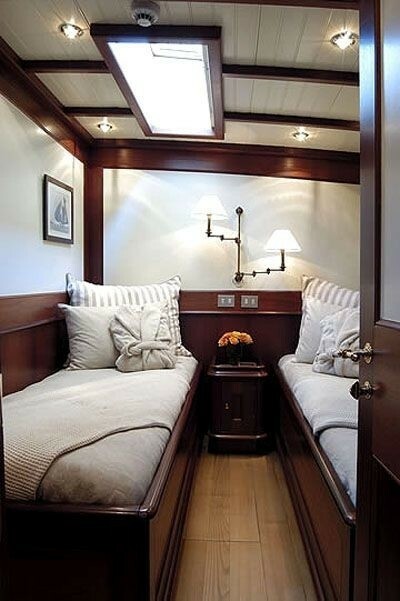 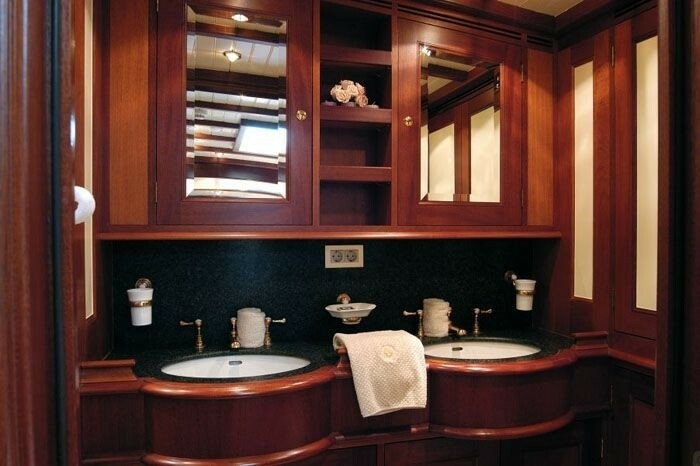 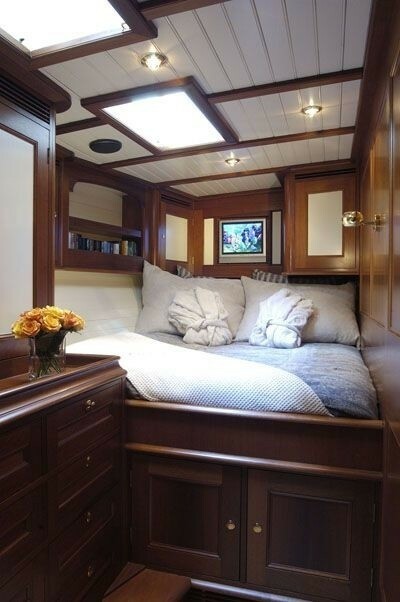 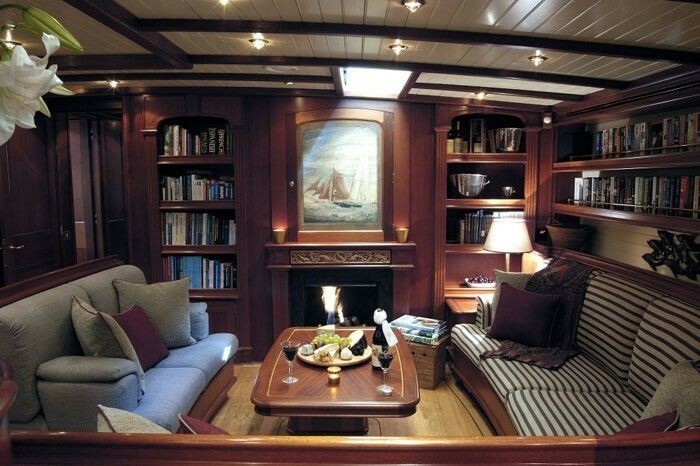 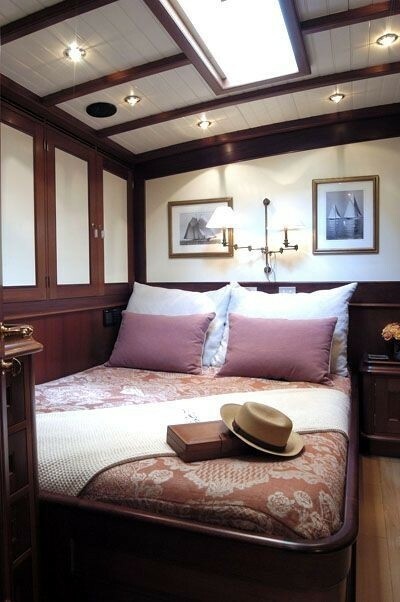 Her Master Stateroom includes a seating area and and a personal en suite shower room. 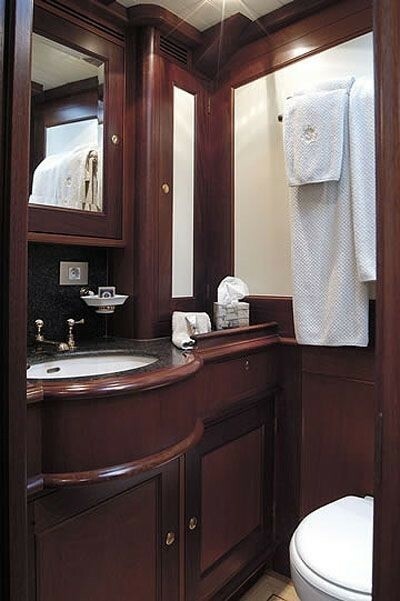 Shamoun also has a VIP cabin with her own en suite shower room and both of these cabins are situated in the middle of the yacht and can be converted to provide either double beds or twin beds. 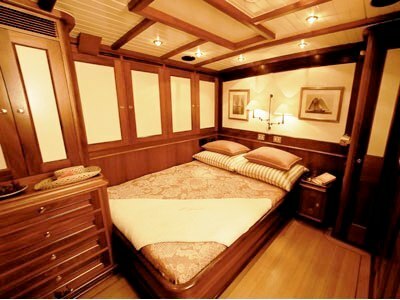 She offers two further cabins aft, each with their own double bed and en suite shower room. 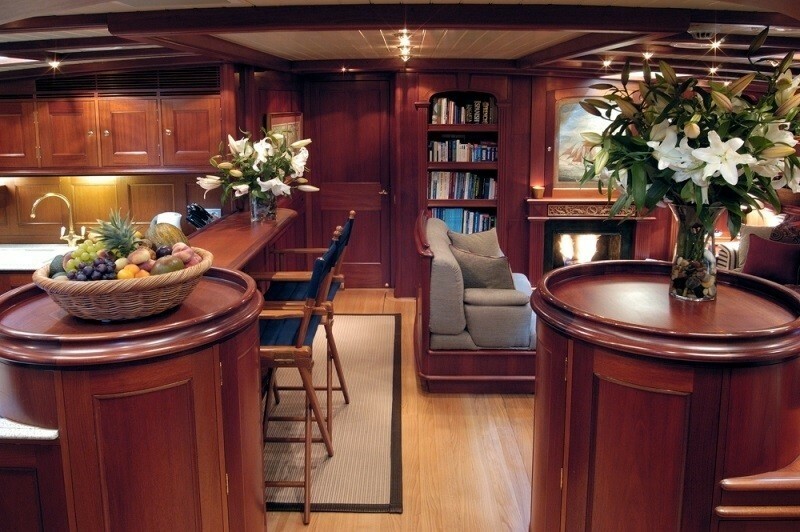 The large open plan main saloon has great seating for dinning and entertainment, as does the Pilothouse - which includes a dining table.